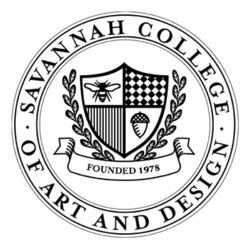 Savannah College of Art and Design (SCAD) is a private, nonprofit, accredited university with locations in Savannah, Georgia; Atlanta, Georgia; Hong Kong; and Lacoste, France. Savannah and Atlanta, Georgia, United States; Lacoste, France; Hong Kong. Founded in 1978 to provide degrees in programs not yet offered in the southeast, the university now operates two locations in Georgia, a degree-granting location in Hong Kong, a degree-granting online education program, and a study abroad location in Lacoste, France with rotating course offerings. The university enrolls more than 13,000 students from across the United States and around the world with international students comprising up to 14 percent of the student population. SCAD is accredited by the Southern Association of Colleges and Schools Commission on Colleges and other regional and professional accrediting bodies. Richard G. Rowan, Paula S. Wallace, May L. Poetter and Paul E. Poetter legally incorporated the Savannah College of Art and Design September 29, 1978. The university opened the following year with five trustees, four staff members, seven faculty members, and 71 students. The school offered eight majors. In May 1981, the first graduate received a degree. The following year, the first graduating class received degrees. In 1982, the enrollment grew to more than 500 students, then to 1,000 in 1986, and 2,000 in 1989. In 2014, the university enrolled more than 11,000 students. SCAD opened a study abroad location in Lacoste, France in 2002 that provides programming for the various academic departments offered by the university's degree-granting locations. It launched an online learning program in 2003 that U.S. News and World Report ranks as among the best for bachelor's programs in the nation. In 2005 the university opened a location in Midtown Atlanta that merged with the Atlanta College of Art in 2006. In September 2010, SCAD opened a Hong Kong location in the Sham Shui Po district. Richard Rowan served as president of the college from its inception in 1978 until April 2000, when SCAD's board of trustees promoted him to chancellor. As chancellor, Rowan spent most of his time traveling and recruiting international students and staff. In 2001, he resigned the job and left the college. Paula S. Wallace is the current president. Wallace, formerly Paula S. Rowan, served as SCAD's provost and dean of academics before becoming president. As president, Wallace directs the internal management of the institution. Wallace has led the collaboration for several annual events, such as the Sidewalk Arts Festival, Savannah Film Festival, a Fashion Show, SCAD Style, deFine Art Festival, Art Educators' Forum and Rising Star. Poetter Hall, originally Preston Hall, was SCAD's first building and first historic restoration project. SCAD's efforts to work with the city of Savannah to preserve its architectural heritage include restoring buildings for use as college facilities, for which it has been recognized by the American Institute of Architects, the National Trust for Historic Preservation, the Historic Savannah Foundation and the Victorian Society of America. The college campus includes 67 buildings throughout the grid-and-park system of downtown Savannah. Many buildings are on the famous 21 squares of the old town, which are laden with monuments, live oaks and a Southern-Gothic feel. Located in Atlanta's Midtown, SCAD Atlanta includes classroom and exhibition space, computer labs, library, photography darkrooms, printmaking and sculpture studios, a dining hall, fitness center, swimming pool and residence hall. [unreliable source?] 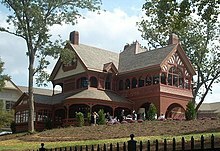 SCAD Atlanta's Ivy Hall opened in 2008 after extensive restoration. 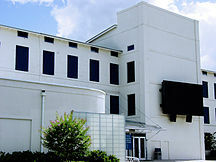 In 2009, SCAD Atlanta opened the Digital Media Center. The SCAD Lacoste campus is made up of 15th- and 16th-century structures. The campus includes an art gallery, guest houses, computer lab and printmaking lab. In Hong Kong, SCAD occupies renovated historic North Kowloon Magistracy Building, with more than 80,000 square feet (7,400 m2). It is equipped with classrooms, meeting areas, computer labs, an art gallery and library. The college's first academic building was the Savannah Volunteer Guard Armory, which was purchased and renovated in 1978-79. Built in 1892, the Romanesque Revival red brick structure is included on the National Register of Historic Places. Originally named Preston Hall, the building was renamed Poetter Hall in honor of co-founders May and Paul Poetter. SCAD soon expanded rapidly, acquiring buildings in Savannah's downtown historic and Victorian districts, restoring old and often derelict buildings that had exhausted their original functions. The College operates four libraries: Jen Library in Savannah, Georgia; ACA Library in Atlanta, Georgia; Hong Kong Library in Hong Kong; and Lacoste Library in Lacoste, France. There is also a large amount of resources available via the eLearning Library. The most notable of the group is Jen Library for the size of its collection. The Jen Library houses approximately 42,000 books, 11,000 bound volumes of periodicals, and 1,600 videotapes in an 85,000 square foot building. The building, itself, once served as a Maas Brothers department store before being acquired and repurposed by the University. Its structural and design features include a large glass staircase and floor-to-ceiling windows on opposite corners of the building. The Jen Library houses multiple rare collections containing both books and visual arts materials including the Don Bluth Collection of Animation and the Newton Collection of British and American Art. It is also home to the Gutstein Gallery, an assemblage of contemporary art from both nationally recognized artists as well as SCAD alumni. Most students live outside of the residence halls, as there are no formal campus grounds other than those contained by the building properties themselves. In Atlanta the university provides two residence halls, ACA Residence Hall of SCAD and Spring House. The Hong Kong residence hall is the Hong Kong Gold Coast residences. The residence halls in Savannah are Barnard Village, Boundary Village, Montgomery House, Oglethorpe House, Pulaski House, Turner House, Turner House Annex, and the Hive student housing complex, consisting of Apiary, Bumble, Colony, Dance, Everest, Flower, Garden and Honey at The Hive. Students in Lacoste live in Maison Pitot, Fortunee, Renard, Murier, Olivier, and Basse. The university operates 16 galleries, notably Gutstein Gallery, Pei Ling Chan Gallery, Pinnacle Gallery and La Galerie Bleue in Savannah; Gallery 1600, Trois Gallery and Gallery See in Atlanta; and Moot Gallery in Hong Kong. SCAD offers fine art degrees. SCAD enrolled more than 10,461 students in 2010 from all 50 states, and 100 countries. International student enrollment is 10 to 12 percent. SCAD is accredited by the Commission on Colleges of the Southern Association of Colleges and Schools to award bachelor's and master's degrees. The university confers Bachelor of Arts, Bachelor of Fine Arts, Master of Architecture, Master of Arts, Master of Arts in Teaching, Master of Fine Arts and Master of Urban Design degrees, as well as undergraduate and graduate certificates. The professional M.Arch. degree is accredited by the National Architectural Accrediting Board. The Master of Arts in Teaching degrees offered by SCAD are approved by the Georgia Professional Standards Commission. SCAD is licensed by the South Carolina Commission on Higher Education. The SCAD interior design Bachelor of Fine Arts degree is accredited by the Council for Interior Design Accreditation. The university offers a study-abroad campus in Lacoste, France. In Fall 2010, SCAD opened SCAD Hong Kong in the former North Kowloon Magistracy. Programs: Design Management, Design for Sustainability*, Exhibition Design*, Fibers, Furniture Design, Industrial Design, Marine Design*, Interaction Design, Metals and Jewelry, Service Design and User Experience Design. Foundation studies classes are taught in Anderson Hall. Programs: Architectural History, Art History, Arts Administration, Arts and Entertainment Management, Business Management and Entrepreneurship*, Cinema Studies, Creative Writing*, Museum Studies*, New Media Art, Writing and Teaching. There are 80 student organizations related to academic and non-academic programs and activities. SCAD has no fraternities or sororities. The university has multiple student-run media organizations at its Savannah and Atlanta campuses. District (an online-only news publication), The Manor (an online fashion magazine), Port City Review (an annual literary publication), The HoneyDripper (a sequential art and illustration blog) and SCAD Radio (an online webcasting station) are produced by students at the Savannah location. The Connector (an online-only news publication), SCAN Magazine (a quarterly general interest magazine) and SCAD Atlanta Radio are produced by students at the Atlanta location. The SCAD Savannah teams compete in the Sun Conference, while the SCAD Atlanta teams compete in the Appalachian Athletic Conference. SCAD Savannah athletic teams are known as the Bees. The college is a member of the National Association of Intercollegiate Athletics (NAIA), primarily competing in The Sun Conference. Men's sports include cross country, equestrian, golf, lacrosse, soccer, swimming, tennis and track & field; while women's sports include cross country, equestrian, golf, lacrosse, soccer, swimming, tennis and track & field. Fencing is offered as a club sport. Opportunities for athletics participation also exist through the college's intramural programs. Volleyball, beach volleyball, basketball, soccer, flag football, softball and various other activities are available at the intramural level. On June 17, 2003, Savannah College of Art and Design executive vice president Brian Murphy and athletic director Jud Damon announced that the university would be changing athletic affiliation from National Collegiate Athletic Association Division III and rejoining the NAIA. SCAD had been a Division III member since 1992, but would now be joining the Florida Sun Conference. The college was a member of the NAIA from 1987–1992 and renewed membership in the NAIA and the FSC (now The Sun Conference) beginning with the 2003-04 season. SCAD Atlanta athletic teams are likewise known as the Bees. In 2010, the SCAD Atlanta location entered the National Association of Intercollegiate Athletics in men's and women's golf, men's and women's tennis and men's and women's cross-country. SCAD Atlanta is also a member of the National Association of Intercollegiate Athletics (NAIA), the Atlanta campus competes in the Appalachian Athletic Conference. Men's sports include cross country, golf and tennis; while women's sports include cross country, golf and tennis. The college holds numerous lectures, performances and film screenings at two historic theaters it owns, the Trustees Theater and the Lucas Theatre for the Arts. These theaters also are used once a year for the Savannah Film Festival in late October/early November. Past guests of the festival include Roger Ebert, Peter O'Toole, Tommy Lee Jones, Norman Jewison, Ellen Burstyn, Sir Ian McKellen, Oliver Stone, Liam Neeson, James Franco, Sydney Lumet, Miloš Forman, Michael Douglas, Woody Harrelson, John Goodman, Claire Danes, James Gandolfini, Patrick Stewart, Holly Hunter and many others. With average attendance more than 40,000, the event includes a week of lectures, workshops and screenings of student and professional films. There also is a juried competition. Chalk drawing by SCAD alumni at the Sidewalk Arts Festival. Each April, SCAD hosts the Sidewalk Arts Festival in downtown Forsyth Park. The festival consists primarily of the chalk-drawing competition, which is divided into group and individual categories of students, alumni and prospective students. Similar is the Sand Arts Festival. This sand festival is held every spring on the beaches of nearby Tybee Island. Contestants can work alone or in groups of up to four people. The competition is divided into sand relief, sand sculpture, sand castle and wind sculpture divisions. Individual departments host yearly and quarterly shows to promote student work. Conferences such as the GDX conference and events such as SCAD Style and offer opportunities for networking. Students tend to frequent en masse non-SCAD-affiliated events if they are held in the historic district — for example, the Savannah Jazz Festival and the Savannah Shakespeare Festival (both in Forsyth Park) — not to mention the St. Patrick's Day celebration. In the late 1980s and early 1990s, a rash of faculty suicides prompted a nervous reaction from school administrators. The unrest led a competing art school to open downtown, igniting an "all-out war." Student unrest grew in the early 1990s regarding student representation within the school, culminating in 1992 with the detonation of an explosive device at the administration building, and two more later that year, at the Savannah Civic Center. In 2014, publicist Bobby Zarem was fired from the SCAD-run Savannah Film Festival for being a whistleblower on campus sexual assault. Zarem alleged that four women informed him they were assaulted on campus, and that school president Paula Wallace launched a cover-up of these incidents. More recently, questions have been raised about the unusual pay packages granted to SCAD's president, Paula Wallace and her family. Paula Wallace received $9.6 million in compensation in 2014, and 13 members of her family have received $60 million over the past 20 years. Additionally, the American Association of University Professors places SCAD on its list of censured institutions over SCAD's treatment of its professors. The school has come under fire for its unusual rate of student deaths. Three have occurred since the beginning of the 2018 academic year, with two of them being suicides. Tom Lyle Sequential Art professor of sequential art; penciler for over 40 Spider-Man comics, as well as numerous other titles. Sharon Ott Performing Arts Artistic director of Performing Arts department, winner of the 1997 Regional Theatre Tony Award for her work as artistic director of the Berkeley Repertory Theatre. Mir Zafar Ali Visual effects specialist and artist, "The Day After Tomorrow, X-Men, Compass, The Incredible Hulk, The Mummy"
Tomas Kalnoky Lead singer of the ska punk band Streetlight Manifesto, and the musical collective Bandits of the Acoustic Revolution. Tomas Kalnoky was also the first lead singer for the band Catch 22. Residente Vocalist, producer, and founder of the alternative rap group "Calle 13"
Jefferson Wood 1995 Penciler on Big Bang Comics for Image Comics, Two time Pollstar Award winner. Billboard Magazine Number 18 best rock poster artist of all time. ^ a b "About SCAD". scad.edu. Retrieved 25 July 2016. ^ "History". scad.edu. Retrieved 13 November 2014. ^ "SCAD: 30th Anniversary". scad.edu. Retrieved 13 November 2014. ^ "Savannah College of Art and Design Overall Rankings". colleges.usnews.rankingsandreviews.com. Retrieved 13 November 2014. ^ "Old magistrates' court reborn as art college". The Standard. 2010. Retrieved 2010-11-15. ^ "Richard Rowan resigns from SCAD". Savannah Morning News. 2001. Retrieved 2007-12-12. ^ "URBAN RENEWAL: NEW LIFE FOR AN OLD CITY". THE VIRGINIAN-PILOT. Landmark Communications, Inc. 1996. Retrieved 2007-12-12. ^ "Savannah College of Art and Design". New Georgia Encyclopedia. 2009. Retrieved 2010-11-15. ^ "Savannah Squares". visithistoricsavannah.com. Visit Historic Savannah. Retrieved 28 July 2015. ^ "SCAD Comes to Atlanta". fight.boredom. 2005. Retrieved 2007-12-12. ^ "Ivy Hall reborn as cultural center". Atlanta Journal-Constitution. 2008. Archived from the original on 2011-06-29. Retrieved 2010-11-15. ^ "SCAD adds space to expand arts, digital media classes". Atlanta Journal-Constitution. 2009. Retrieved 2010-11-15. ^ "The Jen Library Savannah College of Art and Design Savannah, GA". Big Box Reuse. ^ "Jen Library". SCAD.edu. (SCAD) Savannah College of Art and Design. Retrieved 6 September 2016. ^ "Special Collections at the Jen Library, SCAD-Savannah". SCAD Libraries. Retrieved 6 September 2016. ^ "Gutstein Gallery". SCAD.edu. (SCAD) Savannah College of Art and Design. Retrieved 6 September 2016. ^ "Buildings and Facilities". scad.edu. Retrieved 13 November 2014. ^ "SCAD Galleries". SCAD. 2010. Retrieved 2010-11-15. ^ "Savannah College of Art and Design (SCAD)". Georgia Humanities Council and the University of Georgia Press. 2006. Retrieved 2007-12-12. ^ "Accreditation". scad.edu. Retrieved 13 November 2014. ^ "Savannah College of Art and Design - Hong Kong". SCAD. 2009. Retrieved 2009-02-17. ^ SCAD Degree Programs (2007). Savannah College of Art and Design. Retrieved December 12, 2007. ^ "2014-15 Club Listing". blog.scad.edu. Retrieved 13 November 2014. ^ "SCAD's Loren Bunting named to PING NAIA All-America Third Team". The Sun. 2009. Retrieved 2010-11-15. ^ "Georgia colleges moving to add athletics". Atlanta Journal-Constitution. 2010. Retrieved 2010-11-15. ^ "Savannah Film Festival". SCAD. 2010. Retrieved 2010-11-15. ^ "Patrick Stewart will be at Savannah Film Fest. Here are the other celebs being honored". islandpacket. Retrieved 2018-10-10. ^ "Savannah Film Festival". Savannah College of Art and Design. 2007. Retrieved 2007-12-12. 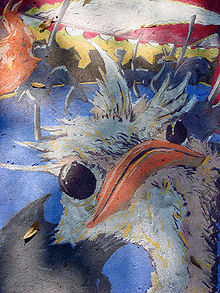 ^ "Sidewalk Arts Festival 2007". Savannah College of Art and Design. 2007. Archived from the original on 2007-12-06. Retrieved 2007-12-12. ^ "Game Developers eXchange 2008 at SCAD-Atlanta". Savannah College of Art and Design. 2007. Archived from the original on 2007-12-11. Retrieved 2007-12-12. ^ "SCAD Style". Savannah College of Art and Design. 2007. Archived from the original on 2008-02-23. Retrieved 2007-12-12. ^ St. John, Warren (July–August 1996). "Sinister Designs". Lingua Franca. Vol. 6 no. 5. Archived from the original on October 5, 2007. ^ Muller, Julia. "A 30-year history of the Savannah College of Art and Design". Savannahnow.com. Retrieved 17 December 2015. ^ "Bobby Zarem suing Savannah Film Festival after firing". Page Six. 2014-11-14. Retrieved 2018-08-16. ^ Judd, Alan. "How SCAD Sells a Dream", The Atlanta Journal Constitution, Atlanta, 9 December 2017. ^ Adburgham, Alison (30 November 1971). "Man on the Inside". The Guardian. p. 9. ^ O'Byrne, Robert (2009). Style City: How London Became a Fashion Capital. London: Francis Lincoln. p. 48. ISBN 9780711228955. ^ "Five former students to be honoured by alumni association at this year's Distinguished Alumni Awards". northernontariobusiness.com. Retrieved 24 November 2018. ^ Stoehr, John (2007-01-24). "Local Student Wins MTV Award". Savannah Morning News. ^ Ong Pang Kean, Benjamin (6 June 2005). "Checking out Bizenghast With M. Alice LeGrow". Newsarama. Archived from the original on 14 February 2009. Retrieved 4 July 2009. ^ "About the Author". bizenghast.com. M. Alice LeGrow. Archived from the original on 21 December 2008. Retrieved 12 September 2012. ^ "Peg Parnevik". Retrieved 17 March 2016. ^ "Birds of a Feather". ^ "From bees to bison, dinner tables with unusual guests". ^ "Do Turtles Have Good Table Manners? A Photographer Finds Out". ^ "Alumni whereabouts : SCAD Writing". blog.scad.edu. Retrieved 23 March 2018. ^ "Oni Press hires Jarrett Williams". scad.edu. Retrieved 4 May 2018. ^ "Charlie Zink". Baseball Reference. 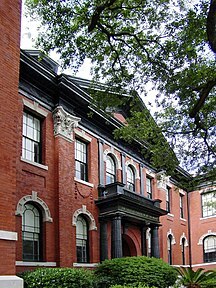 Wikimedia Commons has media related to Savannah College of Art and Design.